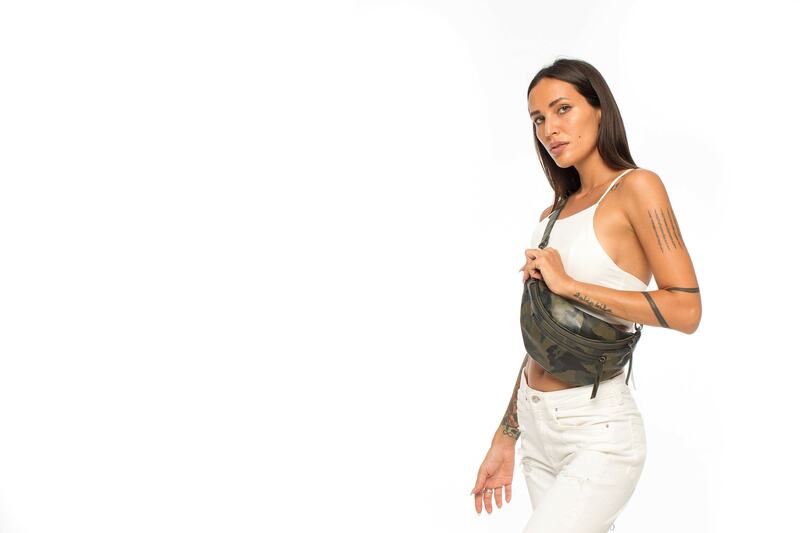 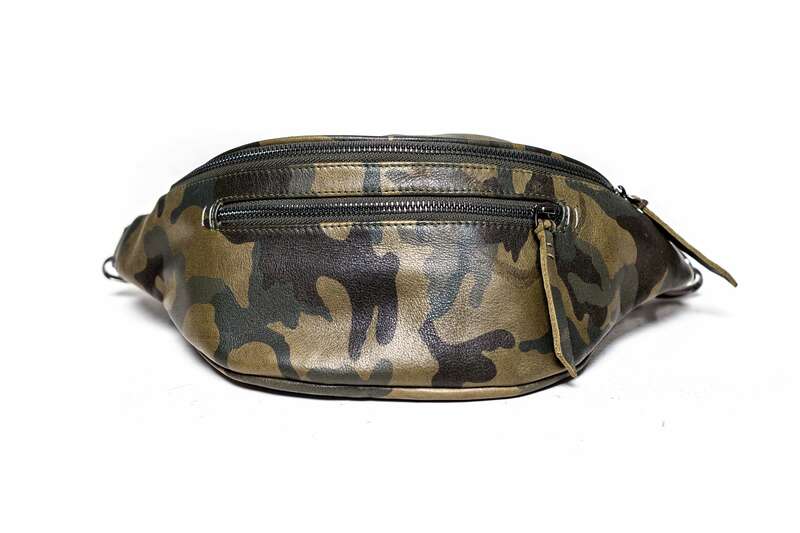 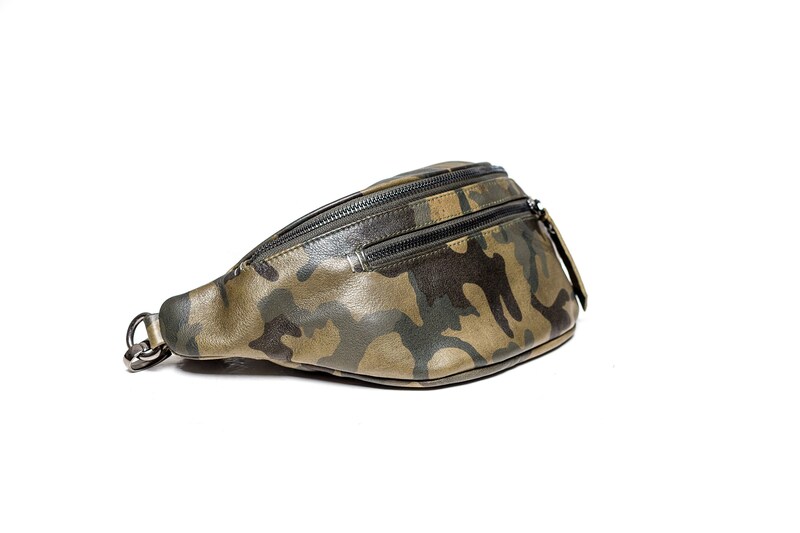 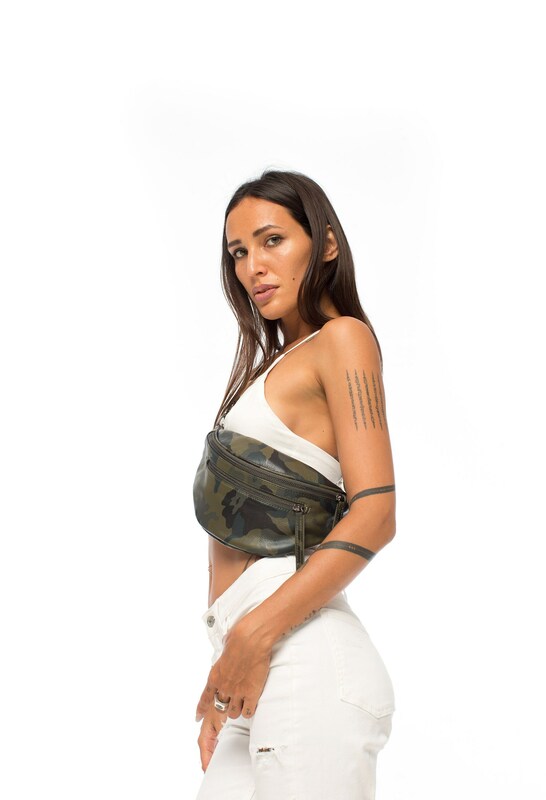 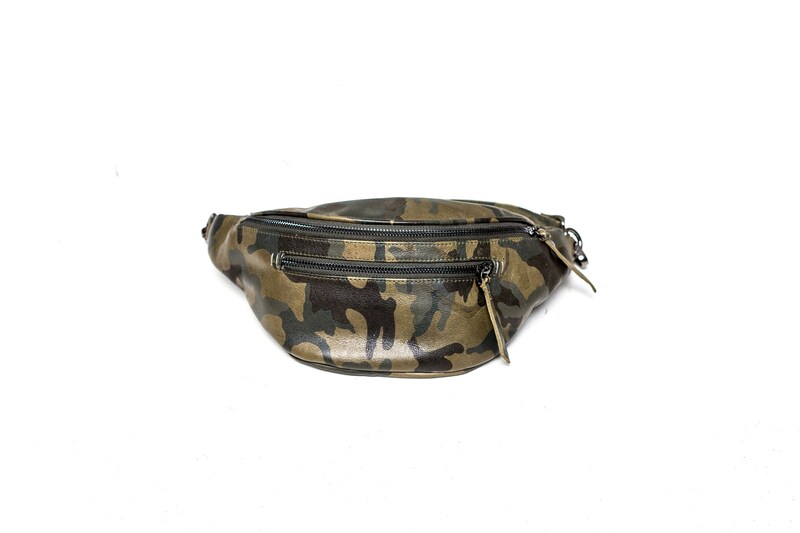 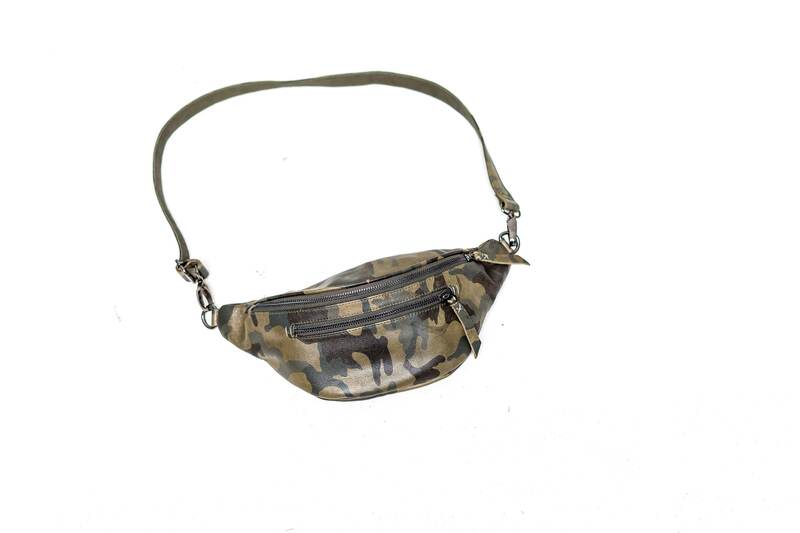 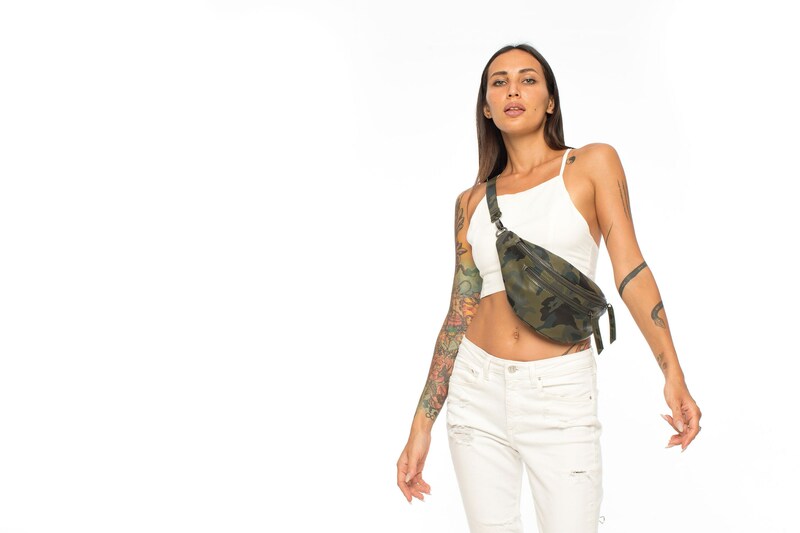 The Jungle Tribe Cult Classic Olive Green Camo Leather Fanny Pack combines both the classic fanny pack shape and a classic olive green camo pattern. 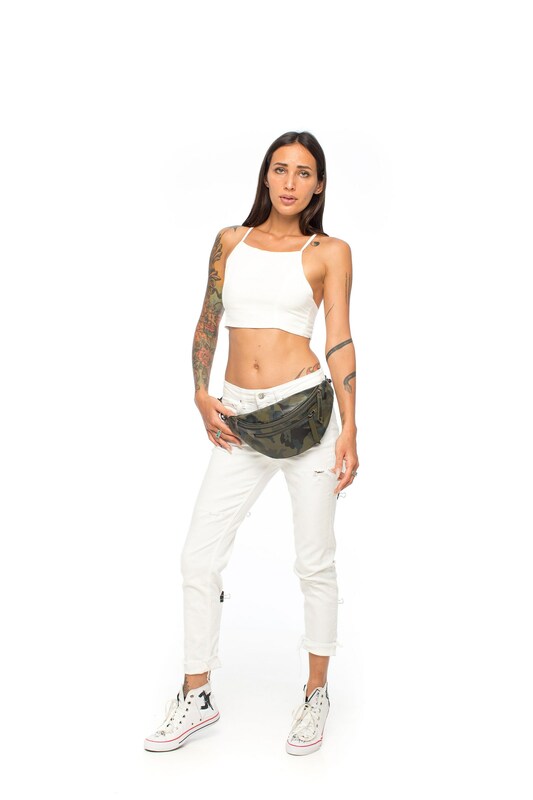 Manifesting both an outside disguise and an inside disguise - while you see three zippered compartments, there is actually a fourth hidden compartment - to stash whatever you please, located within the back most pocket. 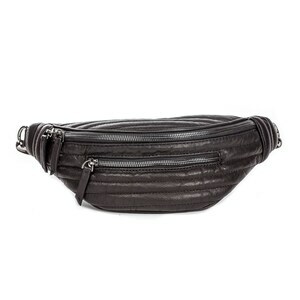 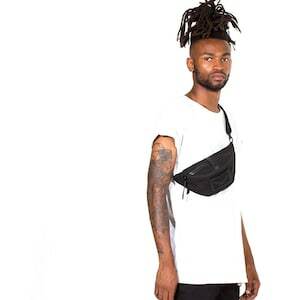 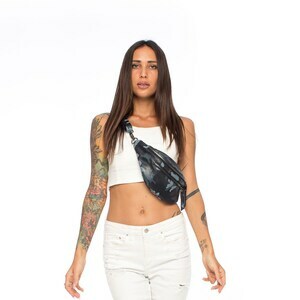 With the body of this bag measuring 15" across with a depth of approximately 5" in the main pocket, this bag has a total of three zippered compartments, the aforementioned secret pocket and comes with a waist strap that can extend up to 39".